Cecilia E. Garcia Cena received the B.S. degree in Electromechanics Engineering from La Pampa National University, Argentina in 1997 and the Ph.D. in Control System (curriculum in robotics and non-linear system control) from San Juan National University, Argentina in 2001. In 2001, she was accepted as post-PhD researcher at Automation and Robotics Lab belong to Universidad Politécnica of Madrid. In 2004 she was a Visiting Professor with the Robotics Laboratory in Universidad Carlos III of Madrid. 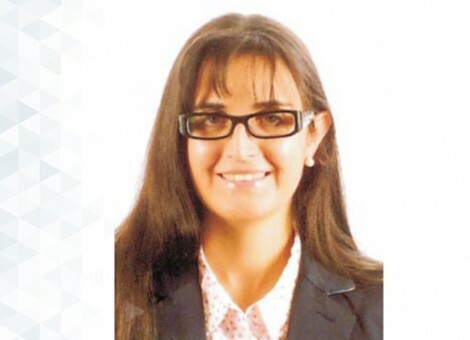 She is currently an Assistant Professor at the Department of Electronics, Automation and Computer Science, Universidad Politécnica de Madrid and member of the Centre of Automation and Robotics UPM-CSIC. Her research interests includes telerobotics, assistant robots, control of multi-agent systems and medical devises. She holds three patents, is the author of more than 25 articles in journals and more than 40 articles in congress. In 2014 she received a National Award to the best innovation technology in medical area. Recently, she founded and spinoff called Aura Innovative Robotics for commercializing R+D results. OSCANN: Technical characterization of a novel gaze tracking analyzer.